S-PRO works for prototyping as well as functional parts. Its main qualities are high performance, high resolution, exceptional toughness, resistance to impact and fracture, great thermal resilience, minimal shrinkage. 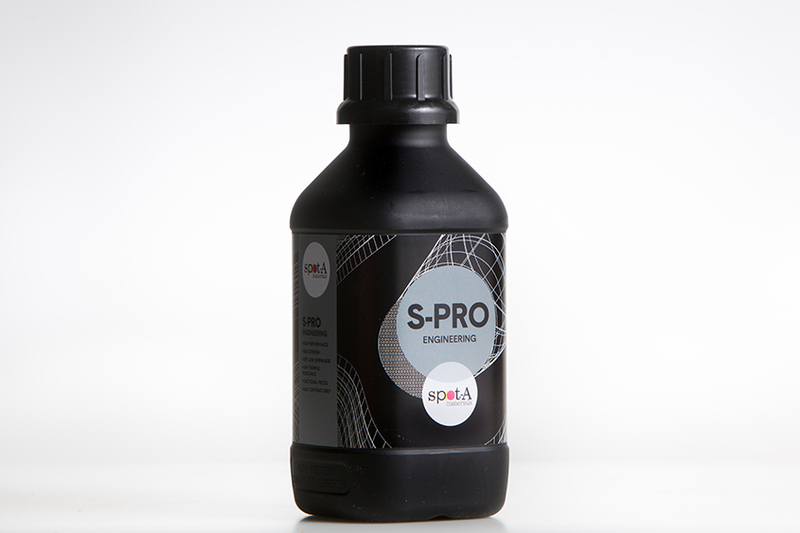 S-PRO is our flagship resin from the new Professional ‘S’ line product range. 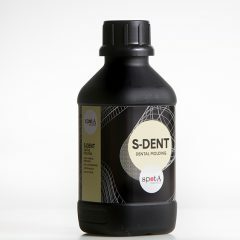 This is a high performance, high resolution resin suitable for prototyping as well as functional parts that require high Young modulus and exceptional toughness. It has high resistance to impact and fracture and provides great thermal resilience with no deformation. It also maintains high dimensional stability and ensures minimal shrinkage during printing and post-curing. S-PRO is the best choice for prototyping, enclosure design and mechanical parts for tooling that can also be machined. S-PRO Extra High Resolution comes pre-pigmented in grey.